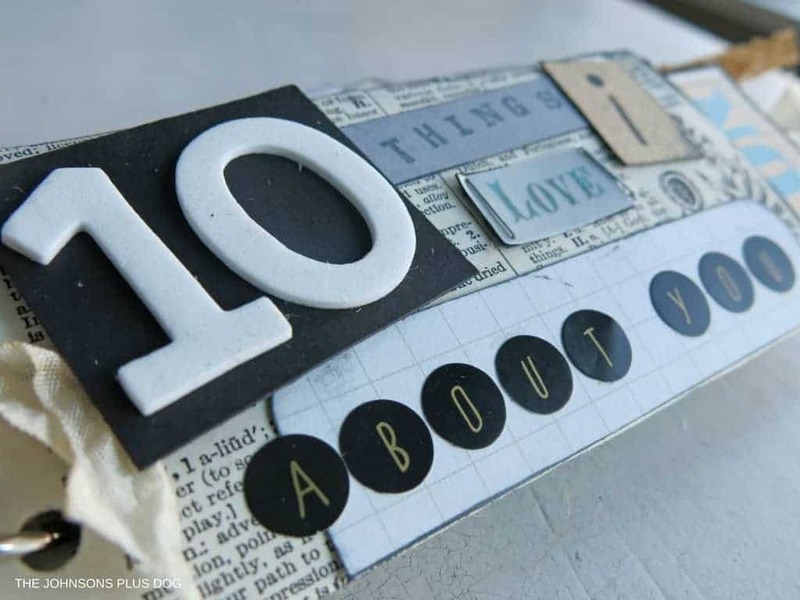 This recycled cardboard roll was turned into a vintage-inspired mini album with a special Valentine’s Day theme – 10 Things I Love About You. 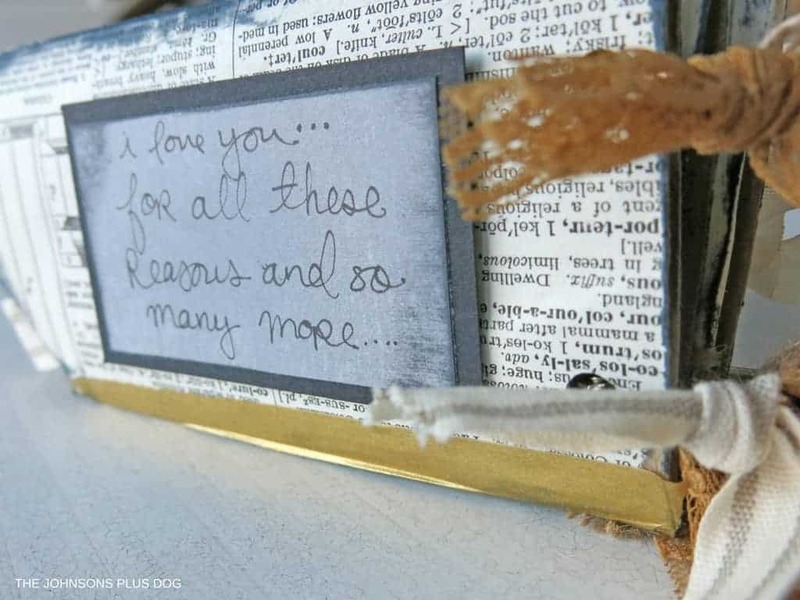 This is a great, meaningful DIY Valentine’s Day gift for your special someone. Can you believe we’re already half way through January already?? I can already tell that 2017 is going to fly by based on the way things are going. As we quickly go through the year, it’s so important to keep an eye on our goals for the year… in other words, have you already broken your New Years resolutions!? Haha. One of my goals is to do some decluttering and organizing. 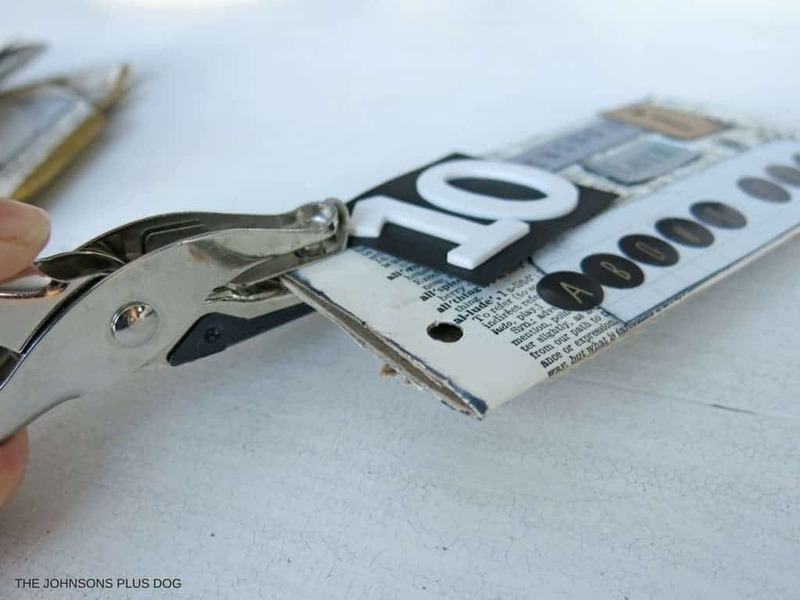 I found some great organization tools on Etsy that I shared with you a couple weeks ago. I was so excited when I got the opportunity to participate in this super fun challenge with a great group of bloggers to destash my craft room! We were all asked to some a DIY using just items in our craft closet. 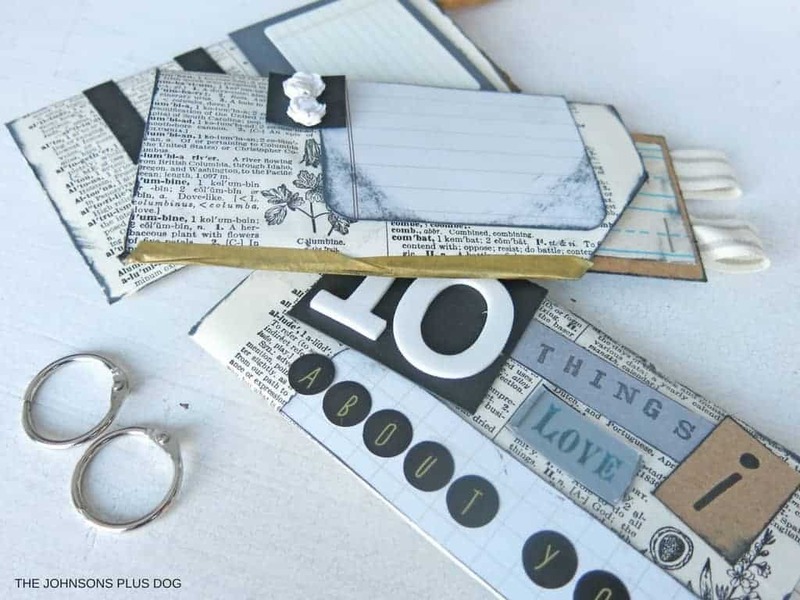 I totally jumped with joy at the opportunity to go through some of my scrapbooking supplies that are just almost overflowing out of my scrap box. 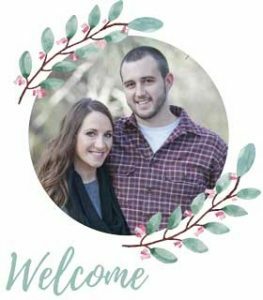 I chose to create a cardboard roll mini album. 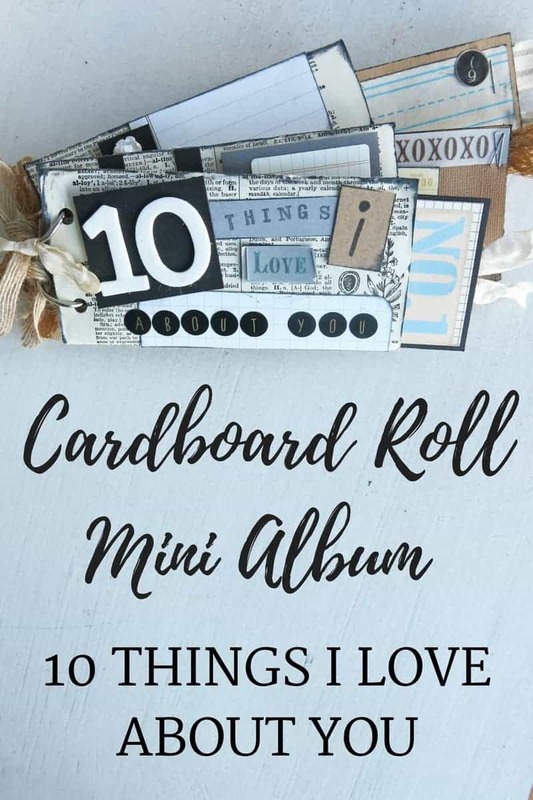 I took a simple cardboard roll and turned it into a vintage-inspired mini album with a special Valentine’s Day theme – 10 Things I Love About You. 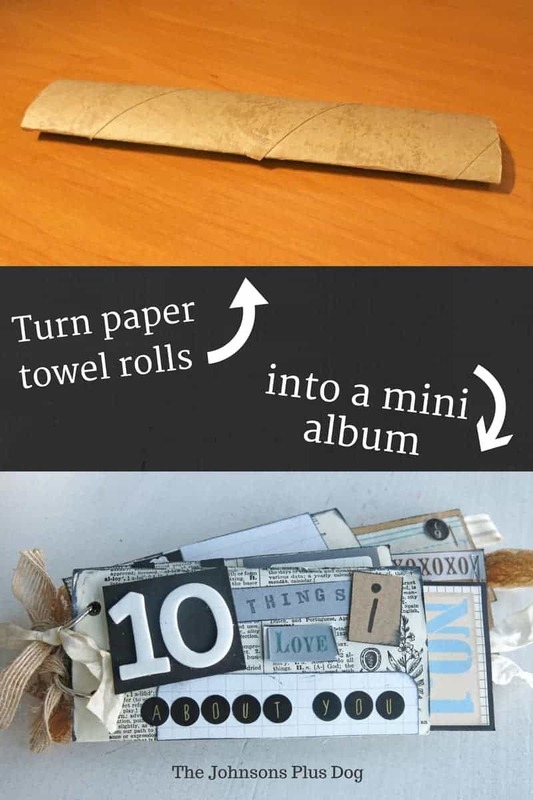 This simple cardboard roll turned fun mini album would make a great gift for your special someone for Valentine’s Day. What a great way to tell him all the different things that you love about him. 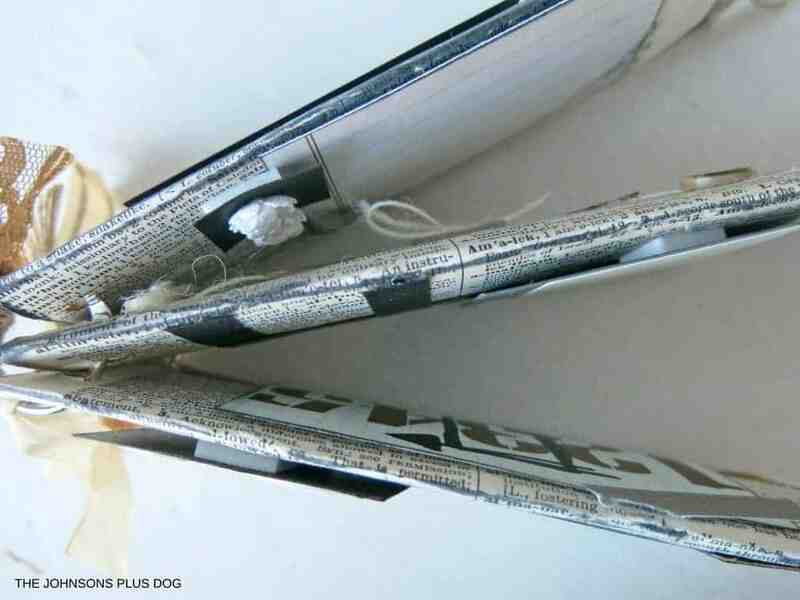 I started with a simple cardboard roll to for main structure of the book. I used 1 and 1/2 paper towel rolls, but you can really use any type of cardboard roll. Do you have wrapping paper that you just about used all up during Christmas? That’s perfect. Also, toilet paper rolls are the perfect size for this, but since I am going to be selling this in my Etsy store… I just didn’t feel right about selling something that came from my bathroom! Haha. 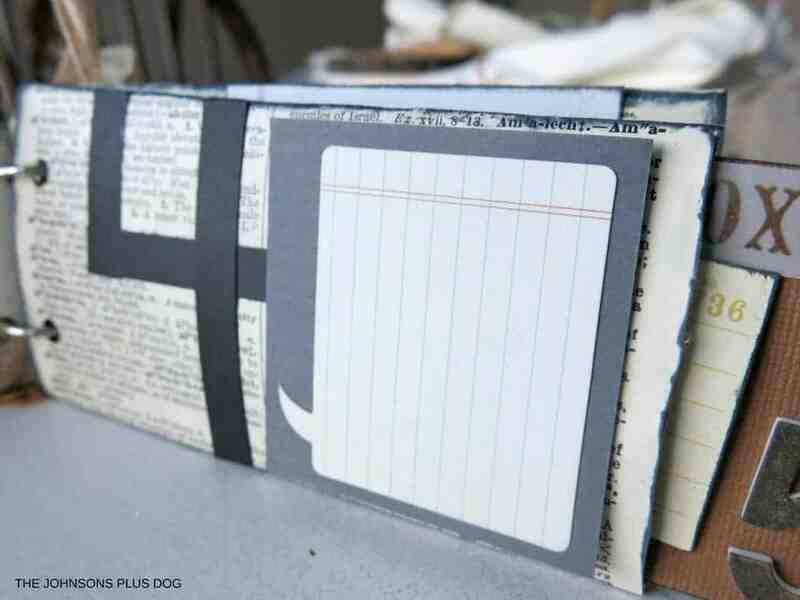 After cutting the paper towel rolls in half, I covered 3 of them with vintage dictionary pages (speaking of vintage dictionary’s…I found this on Amazon for $0.01 plus $3.99 shipping, just think of all the fun craft projects you can do with this treasure! and then got to work scrapping!! Once I finished decorating the pages, I punched two holds for the rings. 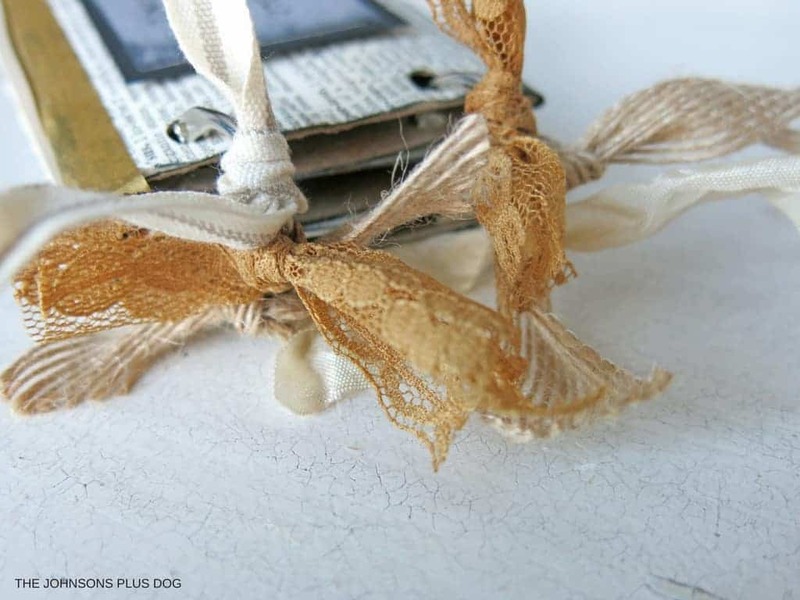 I covered the rings with matching ribbon and lace. I love the texture that it adds. I wanted to create the mini album with a Valentine’s day theme, without being too covered with pink hearts. I don’t know about you, but I can’t picture giving my husband something like that for Valentine’s Day. I tried to keep the designs gender neutral so this could be given to a girlfriend, boyfriend, wife, husband… heck, I guess you could even give this to a friend! 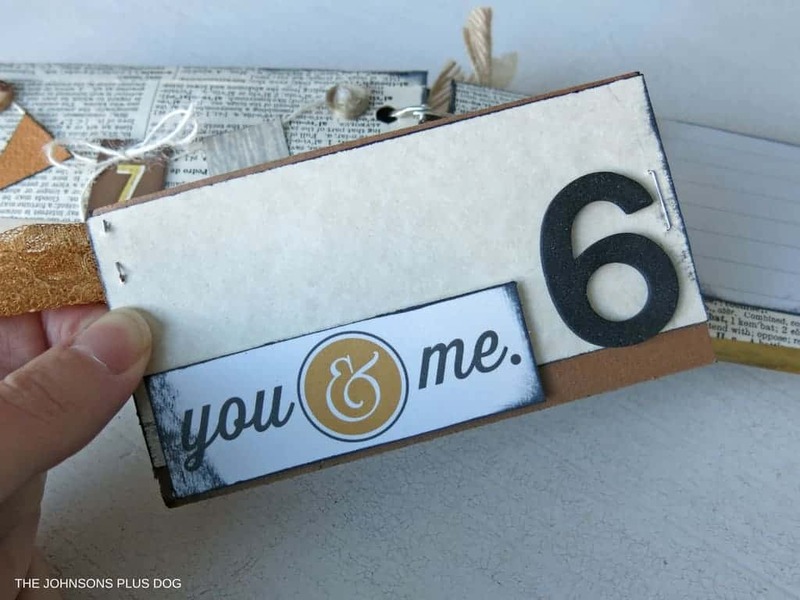 In the cardboard roll mini album, I created a space to write in 10 different things you love about your special someone and they are numbered as you flip through the book. 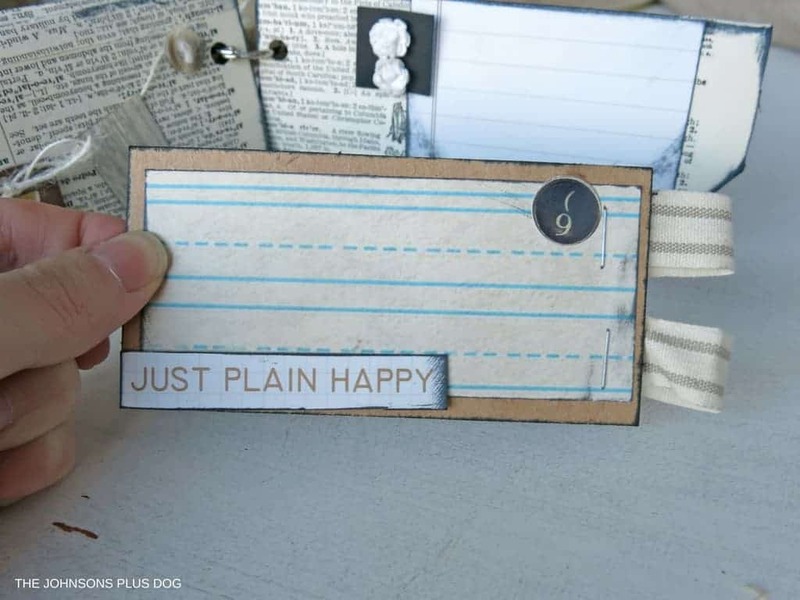 My favorite thing about the cardboard roll mini album is the fun little pockets the rolls create – perfect for the decorated tags that pull out to reveal vintage inspired designs throughout. 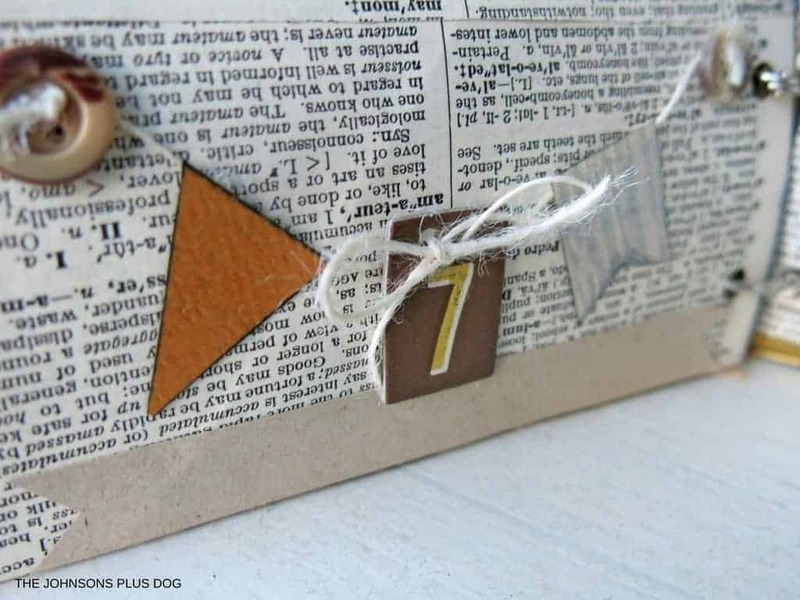 I had so much fun going through all of my paper crafting supplies and pulling out the vintage looking pieces that fit with this grey, tan and brown color scheme I was going for. 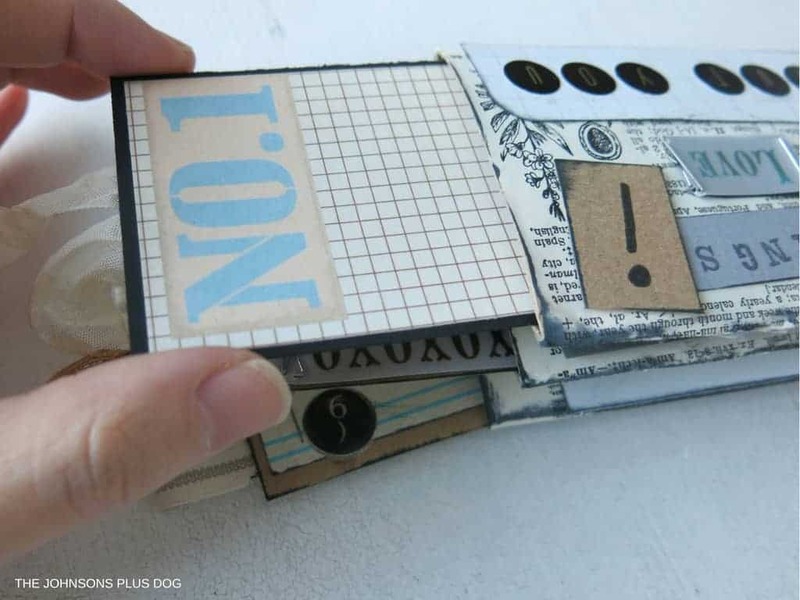 To create the 10 spaces using the three rolls for this cardboard roll mini album, you’ll need to use each side of the page spreads and the tags for each roll. If you’re not following me… #5 (above) and #6 (below) are on each side of the same tag and slide into the roll with #4 and #7 and each side. I think this cute little mini banner for #7 may be my favorite design in the whole book. 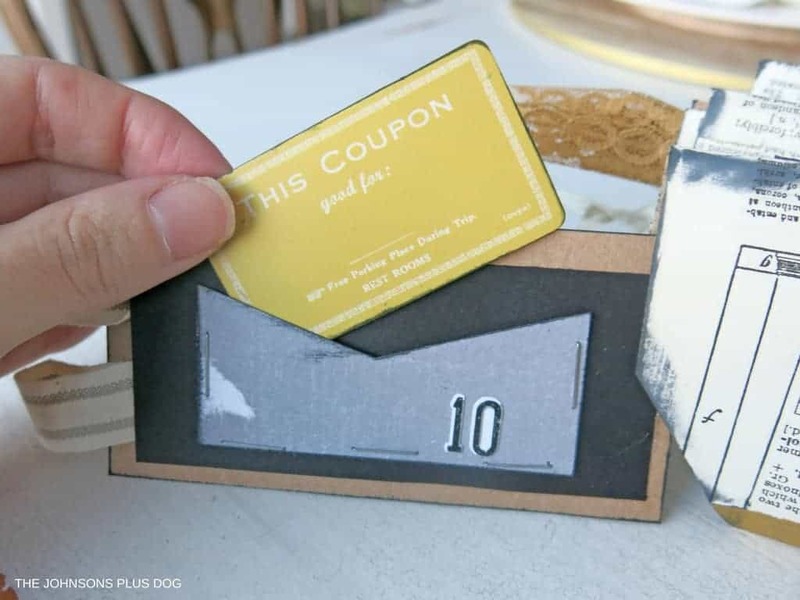 Coupons are such fun gifts for your spouses, don’t you think? For instance, my husband gifted me a coupon for a whole day of shopping baby-free for Christmas. He is seriously speaking my love language there. Well… are you feeling inspired yet? I mean guys…. please tell you don’t find yourself throwing away another cardboard roll like…every other day. 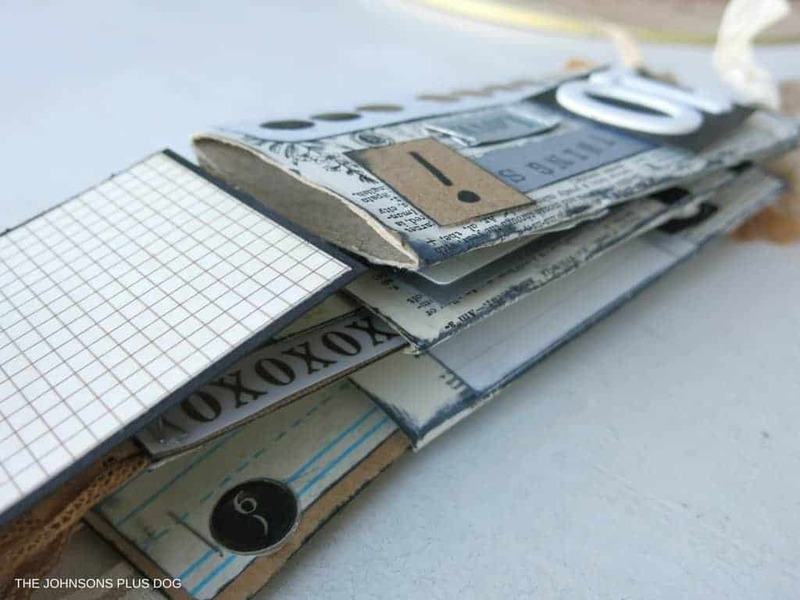 Hold on to it next time… or go digging in your recycling bin and create a beautiful cardboard roll mini album while also doing some decluttering with those craft supplies! If you love the way this turned out, but don’t have the time or crafty hands to make it yourself, I’m selling this one in my Etsy store – click here to buy! 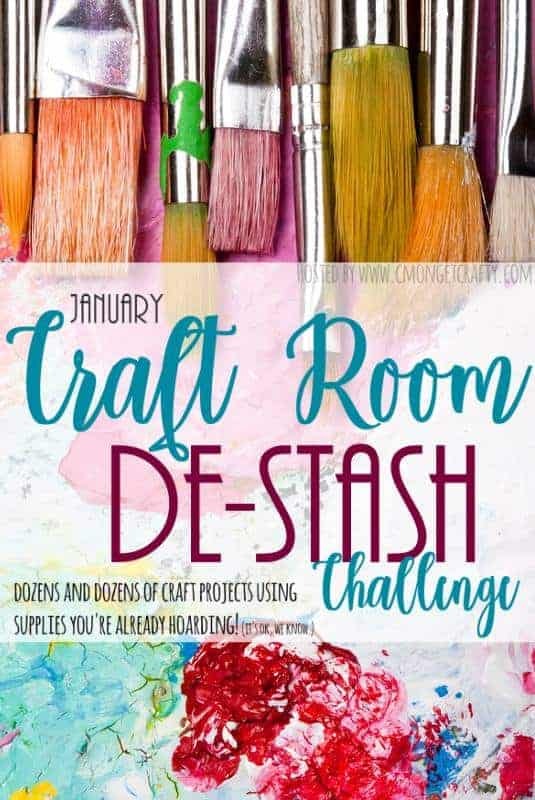 Don’t forget to check out some of the other great craft ideas from the rest of the crew for our craft room destash challenge! 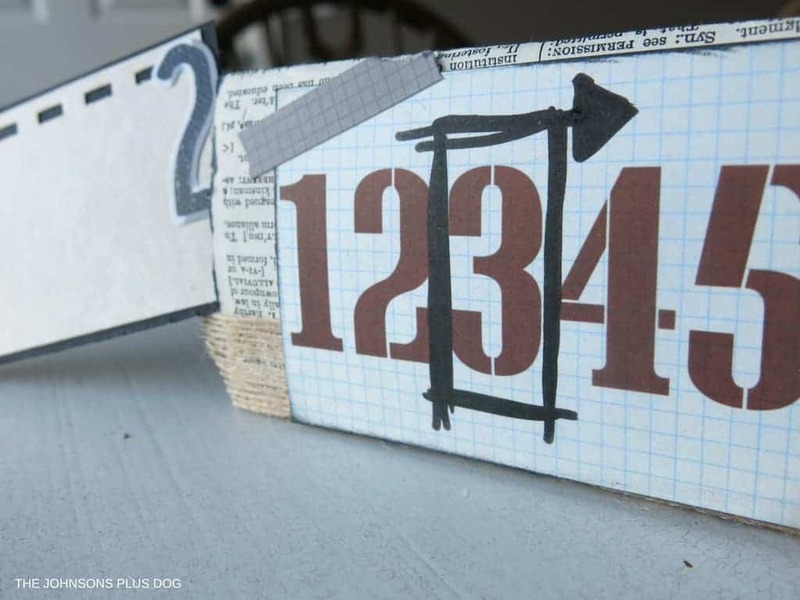 You’re bound to get at least 1-2 (let’s be honest, probably more… a lot more) great ideas on ways you can turn those supplies piled up in your craft room into beautiful DIYs! This is such a sweet little gift for someone special. I love it. This is such a neat idea! I’m going to make a similar one for my husband. Awesome Ali! It so simple and fun to put together !! Let me know it goes. This little album is just adorable! Thanks for sharing the tutorial! Thanks for comment Michelle! 🙂 Amazing what some trash and a bunch of craft supplies and can turn into. Great valentine project for him! And I like the use of your stash items. Thanks Melanie 🙂 I had fun going through everything in my craft closet! Very sweet idea! I love to give homemade gifts. Visiting from Crafty Destash. Are you kidding me? This is so unbelievably creative and beyond cute. I absolutely love everything about this project. Great job and thanks for the inspiration. This is so precious. And it can certainly be made for any occasion or just because. What a lovely gift. Thanks!! 🙂 there are so many options for this ! This is great! How creative. Thanks Emily! Isn’t it crazy how that scrap paper seems to pile up out of nowhere!! What a great way to use all of those cardboard tubes. I really need to try this. Thanks Pam, they are so fun to make!! 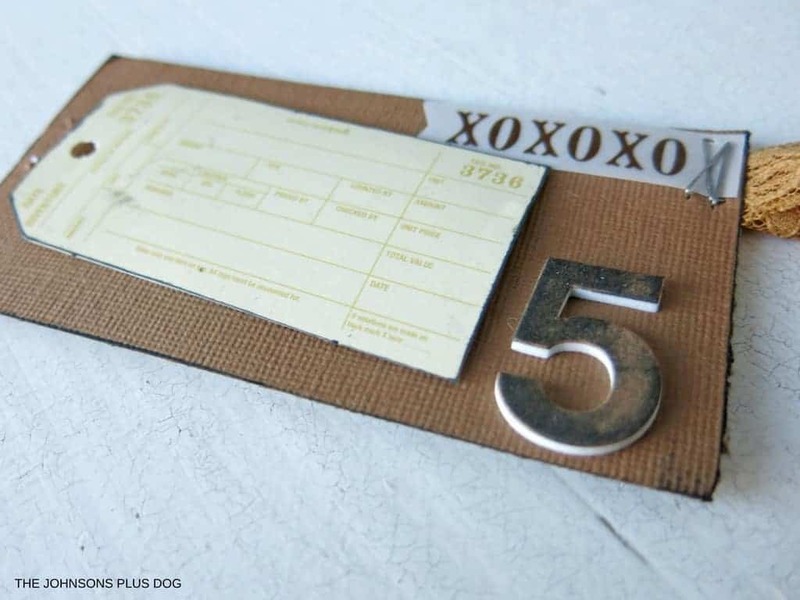 This is such a sweet idea, and an excellent upcycle! That is so creative and sweet! It definitely makes a wonderful and thoughtful gift to give to anyone. Thanks Erlene! 🙂 It was pretty fun to make! This is such a unique and interesting craft and a great way to de-stash. I don’t think I have ever seen anything like it. Love it!